Every year, near seasons close to Mother’s Day, Valentine’s Day, Christmas Day, even the American celebrated Thanksgiving Sunday; we get to see adverts hanging around with gift ideas. 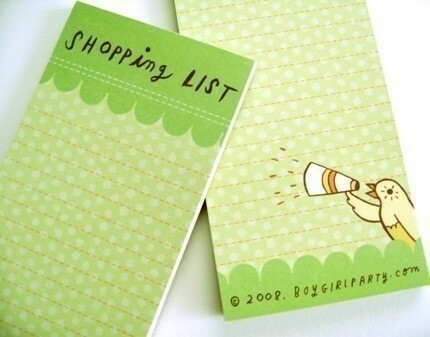 I remember visiting one of such sites on web looking for a spectacular birthday gift for my mum and one of the suggested gift item was a shopping list pad. In fact, the store was so creative with the shopping list format that they designed an “Organized Mum Fridge List Menu; Mum’s Deluxe Kitchen Year Planner; Mum’s Pocket Handbook; Mum’s Shopping Calendar; Mum’s Life Food Jotter & Exercise Planner”. What in the world! I kept pondering to myself, “Why in the world would anyone think someone would get a notepad as a mother’s day gift item, let alone Birthday gift. I have people suddenly ran out of ideas, I iterated. In fact, it sounded more absurd when I found several mobile shopping list applications; mama’s shopping list was the first. But it wasn’t long before my memories brought me to terms with the days, I used my small palms to make a shopping list — the days I had scribbled things in a tiny piece of note often squeezed, torn, rumpled or dirty. How does a shopping list relate with my Christian faith? You’d ask. A wise king named David Jesse wrote a remembrance list in Psalm 103. First, he started on a “me” note; “Praise the Lord, O my soul; all my inmost being, praise his holy name. He followed with an alarm or a quick buzzer; “O my soul, forget not all his benefits”. He wanted to round up but he thought, shopping list for Who? As women, we often remind ourselves on things what we want or ought to do. The lists sometimes go this way; buy play pen for Judith, buy stockings for Dave. It includes diagram, little ticks, scribbles, shapes, directions and most importantly, names. If we where to instruct someone to get us a gift, let’s assume a “Shirt”. We either give specific detail of the shirt “17 inch, Regular slim fit shirt” or describe the “For Whom”. In lay terms, David described God in every way, he could reasonable think of. I advertise this as “Thanksgiving ideas for God”. Who forgives all your sins; Who heals all your diseases; Who redeems your life from the pit; Who crowns you with love and compassion; Who satisfies your desires with good things so that your youth is renewed like the eagles; Who works righteousness and justice for all the oppressed; Who made known his ways to Moses, our forefather, his deeds to the people of Israel; Who is compassionate and gracious; slow to anger, abounding in love; Who will not always accuse, nor will he harbour his anger forever; Who does not treat us as our sins deserve or repay us according to our iniquities. Can you see the “for whom there” and most importantly, can you read the “Why’s”. Someone once said, “If you want to find gratitude, look for it in the dictionary because it doesn’t live with humans. We often forget all the Lord has done from January to November and because the December has not ticked “Nicky”, we wipe all the good deeds. If you were to make a list of all the prayers we made in a month and what and how God has answered them, we would be too afraid to ask for more. David brought himself to check by writing all God has done and praised Him with it. For as high as the heavens are above the earth, so great is his love for those who fear him; as far as the east is from the west, so far has he removed our transgressions from us. As a father has compassion on his children, so the Lord has compassion on those who fear him; for he knows how we are formed, he remembers that we are dust. But from everlasting to everlasting the Lord’s love is with those who fear him, his righteousness with their children’s children—with those who keep his covenant and remember to obey his precepts. The Lord has established his throne in heaven, and his kingdom rules over all. Then the big assignment comes in verse 20! This is what I want you to buy or I want you to do. It’s just one item “Praise the Lord “He ordered several people including himself. Praise the Lord: you his angels; Praise the Lord: you mighty ones who do his bidding; Praise the Lord: who obey his word; Praise the Lord: all his heavenly hosts; Praise the Lord: you his servants who do his will; Praise the Lord, all his works everywhere in his dominion; Praise the Lord, O my soul. “Count your many blessings, name them one by one.” We sing a lot of such songs in our churches but yet gratitude is far away from our heart. Gary Antion found no better way to explain ingratitude until he found a note about a businessman who sent about 175 choice turkeys to his 175 employees, men and women. He realized that only four thanked me; two thanked me by notes and two said thanks when they happened to meet me in the hallway. He therefore decided meanly that he would never go out of my way to be nice again. In fact, his choicest words were, “People are ingrates. It took me 61 years to find that out. " I am sure you have also heard the story of two angels who were sent to earth to gather up the prayers of men. One was to fill his basket with the petitions of mankind. The other was to gather their prayers of thanksgiving. Sometime later they went back to the Father’s house. One had a basket heaped high and running over with the innumerable petitions of men. The other returned with a sad and heavy heart, for his basket was almost empty. The thanks of men were heard but rarely on earth, even though the angel had searched diligently. This Lord is reminding us to make a shopping list for thanksgiving by keeping a diary of his blessings. It does remind us of God’s faithfulness in the face of adversity. Our notes shame the devil and help us to focus on the good things, while putting the bad things in proper perspective. It helps us to trust God and have more faith In Him. If he has ever done anything for you, then He can do it again.